UNAI EMERY has restored a roar to the Emirates, with last weekend's raucous derby win over Spurs properly rocking the stadium for the first time in years. Forget the empty seats that were evident during the dying embers of Arsene Wenger's reign, the place is packed now as fans flock to see Emery's energised side. Arsenal followed up the 4-2 win over Tottenham by drawing 2-2 with Jose Mourinho's Manchester United at Old Trafford, stretching their unbeaten run to 20 matches in all competitions. It's hugely impressive form and what's most exciting for Gunners fans is you get the sense Emery can still get more out of the players at his disposal. So it's hard to see a Huddersfield side reeling from defeats against Brighton and Bournemouth getting anything from the Emirates. The bookies agree, with Arsenal just 27/100 for another win, the Terriers 21/2 underdogs and even the draw priced 5/1 with 888 Sport. After two massive games against Spurs and United, Emery may give a few of his top players a breather and bring some players in from the cold. But the Gunners should still have way too much firepower for Huddersfield so I'd back them to be winning at both half-time and full-time at 8/11 with 888 Sport. 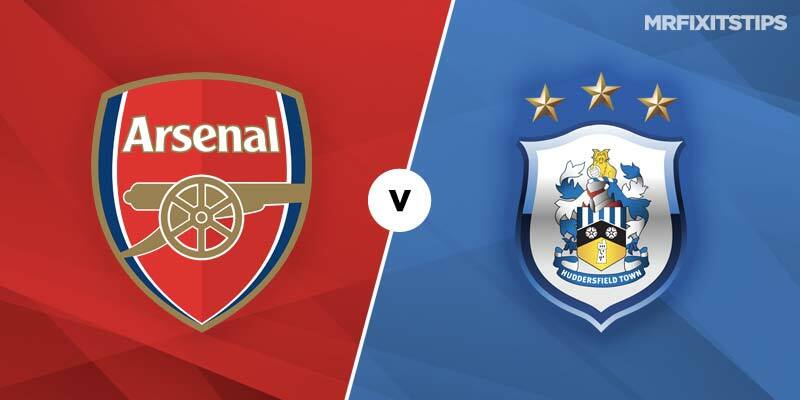 Arsenal are priced at 14/5 to score over 3.5 goals with 888 Sport but it may be safer to go for over 2.5 goals at 21/20 instead as only Manchester City have scored more than three against Huddersfield this season. The Gunners have kept just two clean sheets in the Premier League all season but I've a hunch they could get another here and coupled with an Arsenal win that's 4/11 with 888 Sport. There haven't been many yellow cards for both these sides so far this season so it may pay to back under 3.5 cards in this one. Odds aren't available for this yet so keep your eyes peeled. With Emery set to rest some of his big guns there could be decent value in the goalscorer markets. Henrihk Mkhitaryan is always a threat and could be worth a few quid at 6/1 for first scorer and 19/10 for anytime scorer with 888 Sport. Mesut Ozil could also come back in after his back injury and this is the kind of game the German usually shines in against lesser opposition. The midfielder is 8/1 for first scorer and 11/4 for a goal at any time, which looks good value if he recovers in time to start.